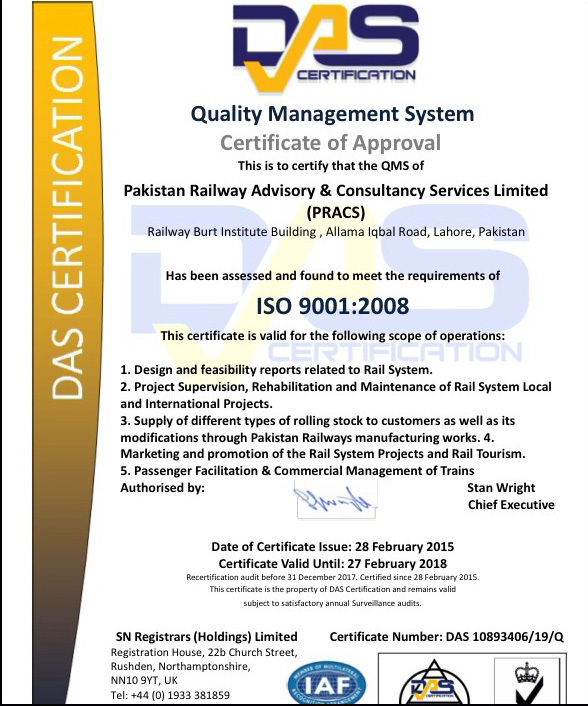 Pakistan Railway Advisory & Consultancy Services Limited, (PRACS) was created in 1976, as Public Limited Company under Companies Act 1913 and is a subsidiary of the Ministry of Railways. It has successfully completed 40 years of high quality performance in the fields of railway related and general consultancy projects. It is managed by the Board of Directors headed by Secretary/Chairman, Ministry of Railways as Chairman of the Board of Directors. The Managing Director is the executive head of the Company, assisted by Executive Directors and Managerial staff to run PRACS operational activities and projects at National and International level. 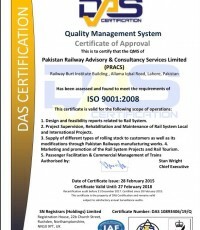 PRACS, Head Office is near railway station Rawalpindi and two functioned & fully equipped offices are located at Lahore & Karachi. 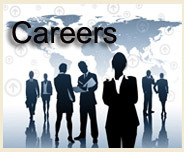 Uptill now PRACS has successfully completed over 250 assignments pertaining to Civil / Mechanical / Electrical / Telecommunication / Signal Engineering and Commercial & Transportation disciplines covering feasibility studies, field surveys and project management including detailed designing/contract management and construction supervision of the projects.